Oculus showed off the Crystal Cove Prototype at CES which has a camera based positional tracking system and a low persistence display. I won’t describe the details here, but the Road To VR interview with Palmer and Nate does a great job of describing all of this in detail. Another great interview that goes into details on Crystal Cove is the Answering Your Questions with Oculus VR video which has Palmer and Nate answering questions from redditors! And, if you want the super hyped overview, the Gizmodo I Wore the New Oculus Rift and I Never Want to Look at Real Life Again article is tops. Crystal cove is a huge step forward to VR even if it is an internal prototype with lots of hacks pulled together just for CES. And some of it was created with help from Valve! Yes, Valve has been involved in VR and AR behind closed doors for a long time. It now appears to be official, vs just rumors, that they are working with Oculus to help bring about VR for the masses. And, according to Valve, that will happen in 2015, only one year away! This will be the point where the technology comes together to deliver an experience that will finally convince the brain what it is seeing is real. This of course does not mean that the graphics are renditions of real life (yay), but that the brain accepts what it is seeing instead of fighting it, or trying to figure it out, and in the process making someone sick. This level of experience is now being dubbed “presence” vs just “immersion”. The Engadget article Valve: The future of Virtual Reality is just one year away is a great recap of all the Valve VR announcements. It also shows the slide of the “Feasible 2015 Consumer HMD” which has all the juicy details for those interested. It looks like a 1440p display could be in store and games should run at 90 plus fps – I am sure the GPU makers will be happy to see that! (See the full What VR Could, Should, and Almost Certainly Will Be within Two Years talk by Michael Abrash). So, are you all excited yet? We have to wonder what will be in store for 2014 and 2015. Some exciting times ahead! We also have to wonder about the larger plan – Valve with the Steam Universe Expanding and Oculus with HMDs better than Valve’s “presence” inducing prototype coming in the next year or so? Could we see Half Life 3 be a VR only game in the coming years delivered on powerful Steam Machines with Oculus HMDs, shaking up the entire industry and ushering in a new era in gaming? I guess we will have to wait and see! On a final note… The Boston Virtual Reality group had another meetup this week and I let the VR enthusiasts have at the latest version of Lost Loot! 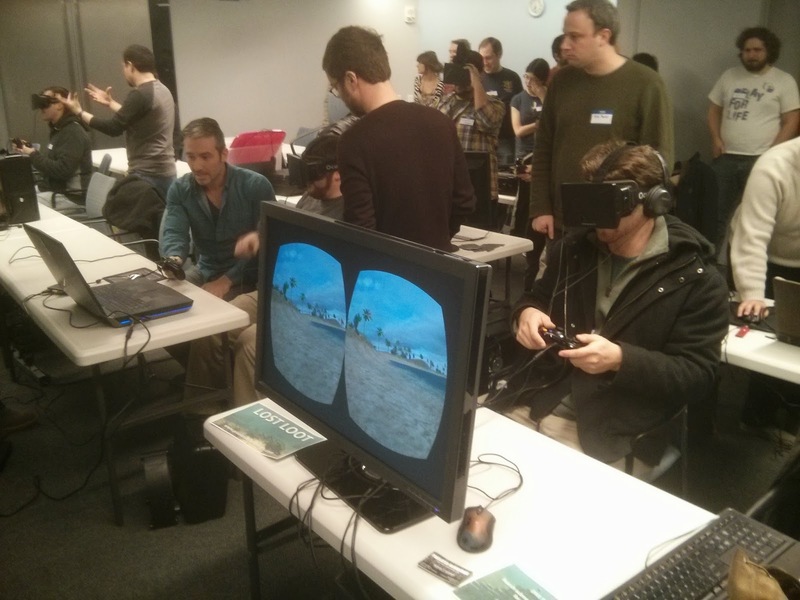 Many people had fun trying it, and a few experienced a glimpse of VR for the first time. I also received some excellent feedback on the game which is already influencing some changes. I plan to go and experience all the great demos next time and then bring it again to the meetup after that. 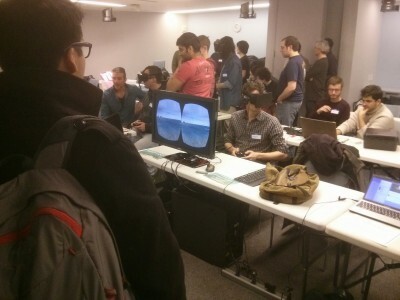 There will be a larger space next time and I highly recommend it if you want to get your eyeballs on some great Boston area VR projects and games. And for you VR devs out there, Oculus released the official Oculus VR Best Practices Guide (PDF link) which I know most of you are violating with your crazy VR concoctions! Check out the previous installment at Rift Ramblings (Part 3). Tagged boston virtual reality, crystal cove, immersion, lost loot, oculus rift, owlchemy labs, presence, steam, steam dev days, valve, virtual reality, vr.